The multiple configurations that SASSA ROLL-BAR offers for modern cars represent one of the main strengths of the custom service offered by the company. 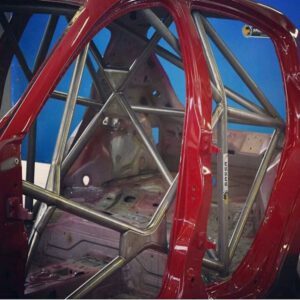 Based on the technical characteristics of the car and taking into account the regulatory requirements, the customer / driver / trainer can participate in the “tailor-made” roll-bar, following the step by step development stages, through continuous clarifications and updates provided by the staff. Prototyping, testing and, finally, assembly will make the roll-bar a product perfectly integrated with the car.